* Information is easily shared across all employees – Employees can easily talk with each other, share records quickly, and view what other employees are working on if they need to help the other employee. They won’t have to go across the office to collaborate. * Records can be easily accessed on any computer in the office – If you’re helping an employee in another office, you may need to access paperwork there. Instead of going back to your office and printing the paperwork you can simply open it on their computer. * Updates can be done system wide – It’s easy to update the entire system at once with cloud computing. Need to send everyone a new document? Just add it to the shared folder. * If the internet goes down, so does the cloud computing system – If the internet goes down, your employees may not be able to access the paperwork that they need to complete their work. They may have to take a break until the internet system is back up again instead of continuing to be productive. * This system may not be good for every business – There are some instances where it may not work well for a business. Security has come a long way in the world of cloud computing, but your company may not be able to have the security level it needs for certain documents. In this rare case, those documents are better if they are not part of cloud computing. If you’re interested, you can Read Cloud Computing Pros And Cons online at veritivity.com. You can also Contact Curt Burnside. 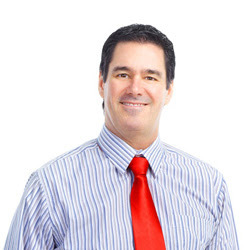 Curt Burnside is a Cloud Computing Technology Consultant and he can help you figure out if cloud computing is right for your business.